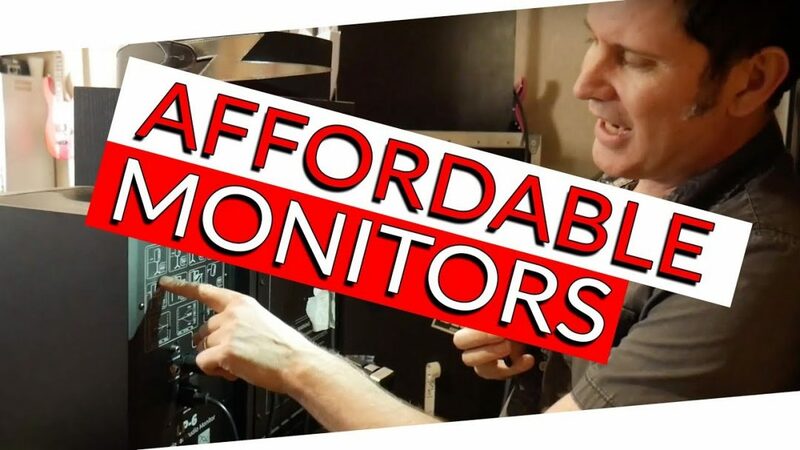 You’ve been asking about the new monitors I have behind me for the last couple of weeks- well, today we’re going to talk about them! Cant wait to see if you won the giveaway? You can buy the LP-6 Studio Monitors here! These speakers have a great low end, which for a small speaker in a small studio is a really important thing. What I really like about these is that it gives me a great benchmark test as to what a lot of people are listening through – and they sound great! To test the speakers I threw on a song that I know really well (Bohemian Rhapsody) and listened all the way through. There’s no way I can show you how the LP-6’s sound other than describing to you what I’m hearing! I’m really really impressed. These are great speakers and the best thing about them is that they’re really affordable and we can get behind really good sounding affordable speakers. For a second pair of monitors for many professionals this will be a really good check, especially for the low end. I would also recommend these monitors if you’re just starting out and are looking for an alternative to mixing with headphones. They’re only $299! A decent pair of headphones are more expensive than that! On the back they have some really great illustrations showing you how they suggest you set up the monitors in different scenarios. A speaker’s given position in a space can drastically change it’s frequency response. A speaker placed against a wall or on a desk will sound very different than a speaker placed on a stand, even in a well-treated space. Hard surfaces like walls, desk tops, and recording consoles can change the low end frequency response of the monitor, and degrade the overall clarity of the sound. The LP-6 is designed to allow you to hear every detail that’s happening in your mix. This starts with an exceptionally accurate frequency response. Whatever is present on your mix is what you’ll hear in these monitors. Nothing is boosted or suppressed to cover flaws or try to sound more pleasing. With the LP-6 you can mix with more confidence, and you can also be assured that your mix will translate as best as possible to whatever systems your audience is using.